Kiruba: Hello and welcome to a very special edition of the first book podcast – India’s first podcast especially for those who have dreams and aspirations to become an author. My name is Kiruba Shankar and every week, I speak with experienced and bestselling authors to understand their writing habits, best practices, and tips to help you successfully author your first book. This podcast is supported by NotionPress, India’s largest publishing platform. Their goal aligns perfectly with that of this podcast, which is to help you become a published author. So, why is this edition special? Because we have one of India’s most popular authors on the show. 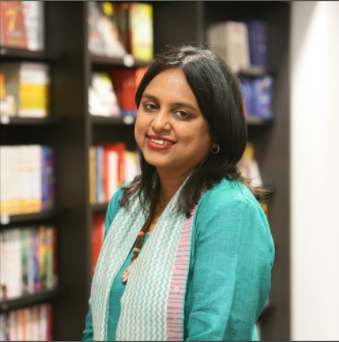 Say hello to Rashmi Bansal, whose books have cumulatively sold over half a million copies! At a time when 10,000 copies sold is considered a best-seller, she has rewritten the rules and set the benchmark for success really high. She is the author of 7 best-selling books like Stay Hungry, Stay Foolish and Connect the Dots. Rashmi was a prolific writer even while at college with over 100 of her articles published in leading newspapers and magazines. Rashmi was one of the 12 young journalists selected for The Independent’s Journalist Trainee program. However she decided to pursue her MBA from the prestigious Indian Institute of Management, Ahmedabad. 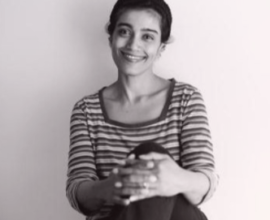 At a relatively young age of 24, Rashmi conceived the idea of JAM – Just Another Magazine, which was launched in 1995 with a capital of just Rs 50,000, but has gone onto become India’s largest youth magazine today. Let’s now listen to the conversation with Rashmi Bansal who speaks straight from the heart on practical tips for first time authors. Here is a great podcast for writers to begin their publishing journey. Kiruba: Rashmi, thank you so much for coming on the first book podcast. It’s such an honor. Rashmi: Thank you, Kiruba. It’s nice to be in touch with you and I think this is a wonderful thing because so many first-time authors get in touch with me and they ask the same questions. So, I think maybe this will clarify things for many of them. So, I am happy to do this. Kiruba: Excellent! So, let’s get started with you. I’m sure Rashmi Bansal, many years ago, would have been an aspirational first-time author. But before that, the background that I know is that you’ve graduated out of IIM and then you decided not to take the usual route; I know you ran JAM magazine. Did you have, while you were in college, did you have this aspiration to become an author or to author a book? Rashmi: Well, I started writing when I was in college. I was a freelance writer for many newspapers and magazines. So, my first article was published when I was in my second year of B.A in college. You know, much before I ever thought of writing a book, I was already writing on many different medium. And yes, I went on to start a magazine called JAM – I was the editor and publisher. So, from being a writer I became an editor and later on I started a blog called Youthcurry, I wrote regularly for that. As well as for Business World Magazine and for Rediff.com. So, I think my journey has not been so much that I woke up one day and decided I want to author a book. I mean I always wanted to write, that was my passion, that was what I felt was my calling and that’s why I didn’t take the placements from IIM, Ahmedabad because you know a lot of people told me that you can always write as a hobby. But somehow, I was not attracted to the job which I would get selling credit cards or detergents or some other such jobs which may be good for many other people but I didn’t feel it was the right job for me. And I felt it would kill all my creative instincts. So, instead, went towards publishing and journalism. It’s not like I just woke up and decided to write a book and in fact, I can recall the words of Narayan Murthy, who said that it takes 25 years to become an overnight success. Kiruba: Brilliantly told. That’s an important lesson for all the listeners listening to this is that to become an author, you first need to enjoy the art of writing and you need to hone the skill of getting into the habit of everyday writing. Would you agree, Rashmi? Rashmi: Yes, I think the most important reason why you write anything, including a book, is that you have something to say; you want to express yourself. And the second part is finding an audience through a publisher. You know when I started my blog, I think I just told two of my friends that see I’ve written this and maybe I’m sharing the link. I didn’t start with the objective of getting thousands of readers. I think I’ve always been driven by passion and written when I really felt like writing and I think that’s the course I think everyone should adopt because take thinking, or any other creative art, you might sing while you are working in the kitchen, while you’re having a bath. You’re not doing it because people are paying you to do it or somebody’s going to release your album. Those things happen much later. If you enjoy what you do, I think those things follow. But I think today, it has become a very goal-oriented kind of an idea that I want to publish my book. I want my name on the book. Maybe that’s another way to do it but I don’t know how to do that. My advice will always be to really enjoy what you do, do it for yourself first. You are the first audience for your own book. Do something that you are proud of; do something that you feel is true to yourself, your style, your thoughts, your way of being. It has to stand out. A lot of times people get inspired by other authors and they unconsciously or consciously copy that person. That’ll never work. Kiruba: Very rightly said. 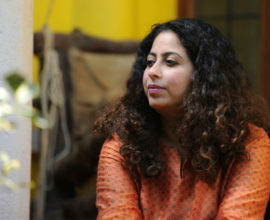 Rashmi, I also know many people, they want to write, so not necessarily a book, it could be an article or a blog post. So, they are very afraid of putting their writing out in the public. They are afraid people might judge them and that is holding them back. What would be your advice for people like them? Rashmi: Well,, I think everybody has an opinion and there are many ways to express that opinion. That has become the culture. So, if you put out anything that you write, you can never expect that everyone will like it. Even lot of people, who love my writing and then there are those who absolutely what I write. In fact, the first book I published I remember somebody reviewed it and was featured an article in Mint, which said it was one of the worst ten books of the decade. Somebody asked do you feel bad. I said,” No, I am so happy like I mean I was listed with a lot of other famous authors.” I mean what I understood that I cant please everybody all the time, right? 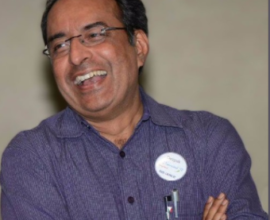 A lot of people object to the fact that I use Hindi books in my book because the way I see it if I interview a person who speaks in Hindi and gives me the entire interview in Hindi, then when I’m writing a chapter, I sometimes feel that there are few words that lose their essence if I translate them. So, I leave those parts. And a lot of people love it and some people don’t like it. And I’m okay with that. So, you have to become a little thick-skinned. At the same time, I don’t listen to the feedback. I am not saying I close my ears and I say, “No, no, I am perfect.” I don’t take into account what people are saying but then I don’t try to please everybody. I do what I feel is right and what I feel is required for a particular story and that’s teh way you have to be. You cant do this expecting everyone to say I love you . In fact, if everyone says they like what you’re doing, you’re probably not hearing the truth. Maybe they are just trying to not hurt your feelings because they are your friends or your family and you know they want to encourage you. But just go into it with the confidence that look whatever I’m doing, I’ve done the best I can. Listen to feedback whatever you get and incorporate whatever you feel is necessary and just do the rest. Kiruba: Brilliant advice. What is your daily writing schedule like, Rashmi? Rashmi: Yeah, unfortunately, I don’t have a daily writing schedule. That’s why I always get into this soup where you know then I have to take a month off and do nothing and just sit and write. I mean it is very good to have a daily schedule but I’ll tell you one problem that I faced in the last five years is that so many people rather than read my book, they want to invite me to speak at their colleges and their companies and even do these kind of interviews and podcasts. And honestly, I feel like I am a writer and I want to write more. But people also want you to speak and it’s an important part of reaching out to readers. So, I’ve to do that. I think I do much less writing than I can or I should. When I am traveling, I don’t really end up writing. In my kind of writing, what happens is there is the data collection phase when I have to meet people, interview them, and get the transcripts. And then I’ve to sit down in a quiet place and just work on the book. So, that’s what I am doing right now. I mentioned to you earlier that I fractured my foot three and a half weeks ago. So, that’s really good for my writing now and I can spend six or seven hours a day writing, which I don’t normally do. And every year, I resolve that I will do it, it doesn’t happen So, I’ve accepted this as my pattern and each of us has to find what works for them. I’ve been to lit-fests where authors from Western countries who come say that every day they have this same routine to get up at 7 and you start writing till 1 o’ clock. But then I’ve also read about Agatha Christie said, “Look, I just sat on my dining table and I somehow wrote all these books.” You know in the midst of all things going on, the dinner cooking and my children asking me thing, so I think I am the second category of a person. I have to say I don’t have a very strict schedule of writing. But it doesnâ€™t matter as long as you set your deadline, achieve it and bring out your book. So, you have to choose whatever works for you. Kiruba: Wow. That’s surprising to hear, Rashmi. I would have figured that the amount of book you’ve got, probably you are stickle of time and schedule but this is so heartening to hear that hey, you are a human just like us after all. Actually, this is very inspiring for many of us because I think many times we tend to be hard on ourselves and I can speak for myself that when I am not able to stick to a schedule, I feel really bad. I feel bad that hey, maybe I am not a good author or a good writer because I don’t have the discipline. But it is good to know that you don’t necessarily have a discipline. But you can still make things work. Rashmi: Yeah, but you should have a deadline. I would say that. If it was very open-ended, you might take three years to do something which could be done in six months. So, a deadline is helpful and maybe you end up doing more of the work towards the end. But another thing I would say is that a book is developing in your head. So, a lot of times you cannot just force yourself to sit down and write. I mean there are times when by doing that, you don’t achieve anything. So, you’ve to put it aside and you know you have to let it grow within you; you have to get the breakthrough or you have to get the juice flowing and it happens very easily. So, that’s what I try to do. Kiruba: Who sets the deadline? Is it you or the publisher? Rashmi: Well, it’s both ways. Generally, we mutually decide that this is a deadline and try to work backwards from there. The author and the publisher both together – but I would say that my publishers are very nice people; they don’t bug me much and keep asking what happened. So, I have to really put pressure on myself. I can’t rely on them to pressurize me that much. Kiruba: Nice. How much time does it take for you, right from the ideation stage to a finished manuscript? That is the first question. And how much time does it take from the ideation stage to the actual book hitting the book shelf? Rashmi: Well, like I said, I write non-fiction books. So, in my case, it’s not like I’m sitting in one place and using my imagination and then you know my book is happening. I have to go and meet the people, do the interviews, I have to do the preliminary research to decide who I want to meet, and set up the interviews and travel and so on. I would say that the minimum amount of time would be like nine months but it could be much longer because I might data collection for two or three books at a time like if I’m visiting Chennai, I might do interviews for future books which will come out after two years. I really can’t put a finger on it, but I would just say that you can’t actually write more than one book at a time. You can do data collection for multiple books but when you actually write, you have to get so much into the book, into the subject matter that you cannot juggle two or three balls at a time. At least, I cannot do it. So, I’ve to finish one project and then move on to the next. Once it is finished, it is published, that’s it, it’s over and I will never open the book again. While I’m doing it, when someone tells me do two things a time, that becomes difficult. Second thing you asked is how long it takes for me to get published – well, in my case, I have been very lucky. With my publishers, we have a very short lead time. It could be as less as three months. I know that this will not happen to you if you are first-time author; it could take anywhere between six months to one year, most likely, it might take till one year because most publishers have a pipeline no, and they are not in any hurry to publish a new author because they are not expecting it to sell that much. Probably because my books do sell well, my publishers are willing to bring it out quickly so that it can add to their sales revenue and they have something to put on the book shelf. Kiruba: How do you handle multiple ideas coming to you? And these are like fantastic ideas and you kind of answered the question saying that when you travel to a particular place, you not only work on one book but you work on multiple books from a data collection perspective. But, how do you handle when you get a lot of fertile ideas of future books? And what is your thought process like? Rashmi: Yeah, I just note them down and keep them with me. I can’t attack all of them at the same time and some of them wither away also. You don’t necessarily want to do them after some time. So, you go with what sticks with you and leave the rest. Kiruba: Got it. 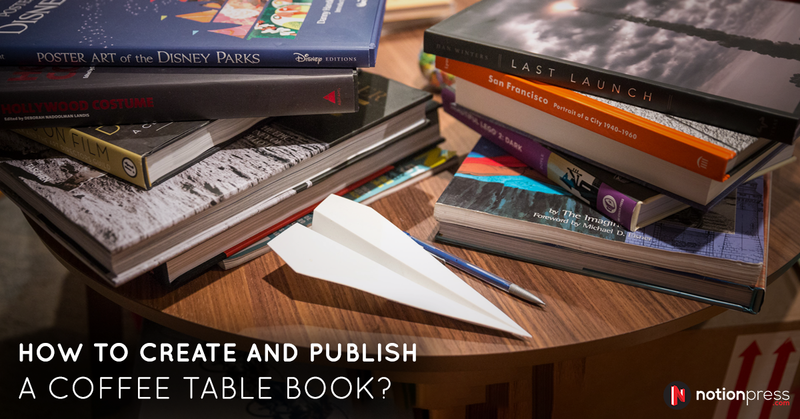 Many first-time authors face a road block when it comes to finding a publisher. So, what would be your advice? You think self-publishing might be the route to take? Or how can first-time authors convince a publisher that their manuscript is worth it? Rashmi: There is no one formula that works for everyone. I think, ideally, every author wants to get published by some well known publishing house. Today you have an opportunity to email them with a good proposal. I don’t think anyone spends ten minutes on a first-time author’s book. So, you have to think clearly who is your target audience and what are you trying to say in the book, that should be in the proposal. They have a format normally on their website and in the first ten pages, if they get hooked into the book, they will continue reading otherwise, I don’t think it is going to go far. So, if you have a book which builds up very slowly, and then becomes interesting, in today’s needs, I think people will find it difficult to publish. So, that’s one. Of course, I’m not saying that if a book gets rejected, it’s a bad book. As well all know many books have been rejected multiple times before being published including Harry Potter. But the issue is that most people don’t get much of a feedback in what’s wrong with the book. So, sometimes, there could be things wrong with your book. For example, you may not have edited it properly or proofread it. Or, in the very first page, somebody opens it and finds ten mistakes and you know they don’t feel like reading further. So, before sending it to a publisher, you should edit it yourself or with the help of a friend or with the help of a freelancer. Maybe it will cost you some money but if it looks professional, it has a slightly better chance of getting published. So, that will be one piece of advice. 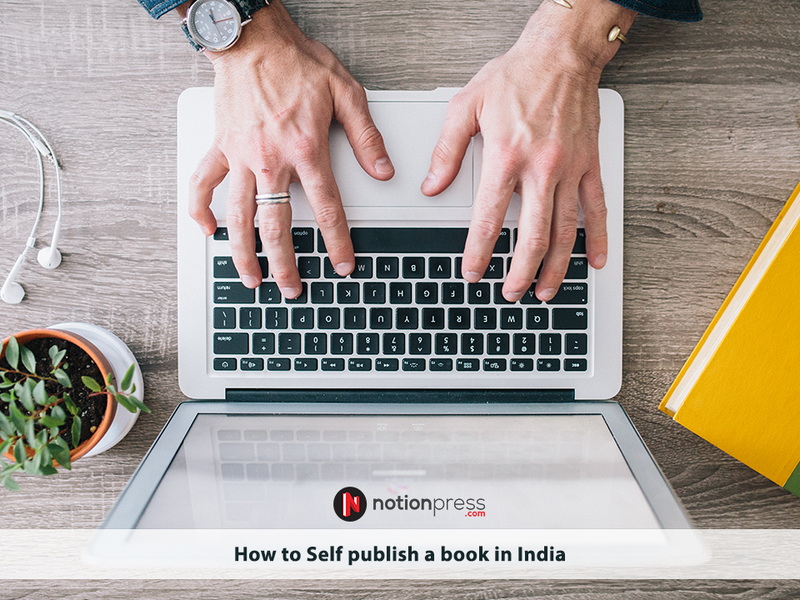 Now, if you don’t get a publisher, yes, there is an option today to self-publish and in my view, the only true self-publishing is if you go to Kindle and you self-publish it there. You upload your word document and your cover and you bring out the book. This is not very difficult but the main issue is who is going to market your book because there are millions of books on Kindle, so, how does anyone know that your book has come out. And secondly, there is the issue of you would like your book to be in book shops and how do you do that? So, the option for you is that you can get your book printed and this may of course can take a lot of efforts in terms of running around and getting a printer and getting your book in hand. But even if you can do that, then it’s very difficult to get it distributed unless it goes through a distributor and a distributor won’t take your book because it was published by you and you’re a new person and they don’t have any faith. So, it’s quite a big problem actually. I don’t know what the solution is actually. 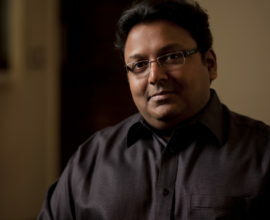 There have been people who have successfully self-published, people who are doing really well, people like Amish, Ashwin Sanghi. They started this, they started self-publishing. I think Ashwin initially put his book on Kindle and when it did well, he then got a publishing contract. And there is a similar story of 50 Shades of Grey. But it’s quite rare. The best bet is to go to a publisher. Kiruba: Brilliantly elucidated, Rashmi. My next question is that I know you have come up with a venture to help new authors. Do you want to talk about that? Rashmi: Yeah, I can tell you a little bit about Bloody Good Book, which is really a venture that I started with this idea of helping first-time authors. The model that I thought would work better is that instead of two people sitting in a room and just going through all the manuscripts coming in from people, why not have a website where readers can decide, give their say on what they find interesting. So, on our website, we invite authors to put up first three chapters of their book and anybody can read this books. We have about 140 manuscripts online and we have more than 8000 users of the site. So, people read the books and they comment, give some feedback, give rating, and based on that we have a top-ten list of the month and then the editors choose from that to publish a book because then there is some idea what book is gaining traction, what is working and what is not working; because a lot of times, the editors are sitting in an ivory tower you know. You are like really cut off from the common man and what he or she wants to read. 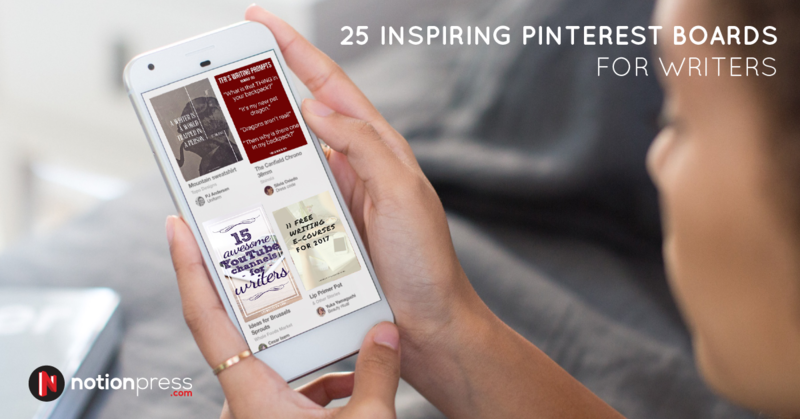 So, this is a kind of crowd-curated book publishing company and we do only ebook. But we have a tie-up with Westland books to bring out the printed books and so far we have done three books. The third book has just come out this week and it’s called Corpokshetra, it is a humorous take on theÂ Mahabharata. Mahabharata in the corporate India. This is another model. I am not saying my model is better than other models; it’s just another option for people to look at. Our first book did quite well. It’s a thriller by a new author called Uday Satpathi. And on the other hand, I would just say that the advantage of coming to my website is that you get some feedback from other people on what might be missing in your work. So, this is a kind of a community where people do say that look your book is terrible or it’s lacking or this is wrong, this character is not working or your language is poor. So, a lot of authors who did not get published by us also feel that this is helpful and they went back and revised their books. Some of them had got published by other publishing houses. I haven’t made any money on this venture yet, I would say, it is more like a service to readers and authors. I just wanted to experiment with doing something. I am happy that we have been able to bring out some new authors and have others improve their work. Kiruba: Sounds good, Rashmi. Sounds good. So, two last questions. One – you correctly mentioned that writing is just one part of it but the art of marketing the book and making people come and buy your book, read your book is a different ball game. So, what would be your advice or best practices for people to market their books? Rashmi: Well, today you have access to a lot of social media like Facebook, Twitter, Instagram, and so on. I think if you are planning to bring out your book, perhaps you should think about it in advance. Don’t just think of using your own Facebook page to promote your book to the same people who know you. Try to set up a separate page which will attract people who are interested in that subject. Especially for non-fiction, I think that is really important and also for fiction. So, if you have a recipe book, go to Instagram, make an account, and get people who are interested in that particular field rather than bombarding your own family and friends with your book. So, that’s one. Secondly, I think you have to do a lot of personal contacts program. You have to try and reach out to people. Go and speak wherever you get an opportunity even if it is just ten people. I think schools and colleges are the best places you can do this. And you should go there not with the idea of selling your book but with the idea of sharing your knowledge. Right? You share your knowledge and at the end of the session show that your book is available and a few people will buy it. But never go there thinking I am marketing my book because do you like if somebody sells A or B or C things to you? Then you become a salesman and not an author. So, go there and share the ideas that have gone into your book, or the process of writing your book, or whatever you feel strongly about, or whatever connects with people, which also is the subject of your book. Like, I go and I give talks to people about entrepreneurship or how you can start your own business or how can you follow your dreams. I might give some examples from my book but I don’t go there and market my book per say. So, that’s what I would suggest to people. And never be shy or never feel bad if there are less people because you are going to start with less people. You are never going to start with audience of thousand. And it’s good if you initially address less people, it’s more people. I think the main secret source of books is books are sold in recommendation. So, if you tell me that I read this book and I liked it, it’s highly likely that I will read the book. Books don’t sell due to advertisements or any other kind of normal publicity. It’s something which is word-of-mouth. I see somebody reading a book in the bus or a train, that gets registered somewhere in my mind. I think you have to do all these things but ultimately your content has to be something that is so strong that appeals to people then all the things follow. So, first of all, focus on writing the best book you can. Part two is all these things like social media and speaking and building your credibility as an author. Just don’t be too pushy. Being too pushy never works. The book will sell or won’t sell but it doesn’t mean you have to go sell yourself and your entire life doesn’t depend on this one book. Just be a normal human being and interact with others and I’m sure that over time, things will happen. Kiruba: Brilliant advice, Rashmi. My final question is what are your future plans and what’s your next book? Rashmi: Yes, my future plans include writing more and more books. But my next book is actually quite different and it’s a book on Akshayapatra foundation, which is providing midday meal to more than 1.4 million children across India. It is a completely different way to look at a startup. This is also an organization which started from very small idea and scaled to this level, wherein it has been a case study at the Harvard Business School. But what I am telling is the story of a few people who thought let’s do something and took it forward and then the kind of amazing things they’ve done. It’s really inspiring and I decided that it deserved a book. So, that’s the book I am writing at present and it should be out in August of this year. Apart from that, there are many other books that are in various stages of progress and I hope to bringing out books and I hope to keep reaching out to people who want to read them. So, thank you so much for this opportunity. I wish all the first-time authors the very best. I am sure that each of you has a dream which will become a reality. Believe in yourself. Just do the best job possible and enjoy the entire process of writing because after that it’s all very good. But the fun is really in writing and the essence of being a writer is to write. So, thank you. Kiruba: Thank you, Rashmi. Thank you. I mean that is so beautifully put. Absolutely beautifully put. I think it is very important for everyone listening in to really feel that essence behind the book. It’s not the book itself but what really motivates you and you really put it up so beautifully. Thank you so much, Rashmi and please get well soon. And I know that your broken leg is helping you author a book but I hope that doesn’t happen in future. Wishing you the very best and thank you so much, Rashmi. Kiruba: You were listening to the first book podcast, which is India’s first podcast specially aimed at first time authors. Do tune in every week to notionpress.com/podcast to follow new conversations with bestselling authors to hear their tips and tricks and techniques to help you become a published author. On that note, a word of appreciation to Notion Press for supporting this show. 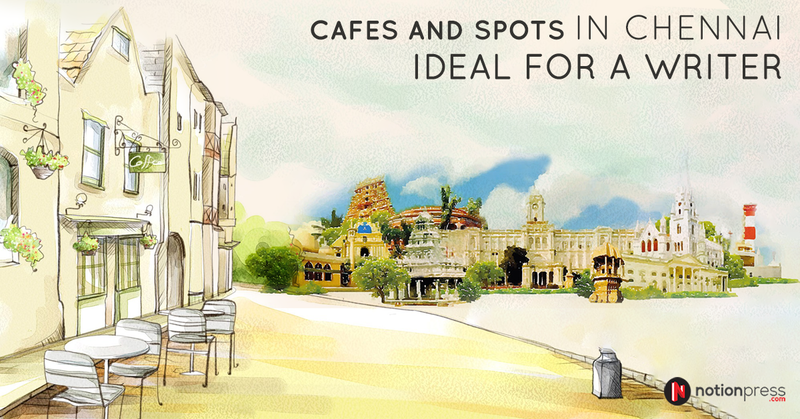 I would love to hear your feedback and encourage you to write to me at kiruba@kiruba.com. Take care and bye.